Beyonce's Lemonade was full of celebrity cameos, but Ellen DeGeneres is afraid her fans might have missed hers. Before sitting down with The Nice Guys' Ryan Gosling on Friday's show, DeGeneres had a quick check-in with tWitch about the visual album. "Did you see me in it?" she asked, telling him "I've been given permission to show it -; I hope she's not mad." In DeGeneres' version, Beyonce approaches in her now-famous Roberto Cavalli mustard dress, while the daytime host watches on from safely inside her car. 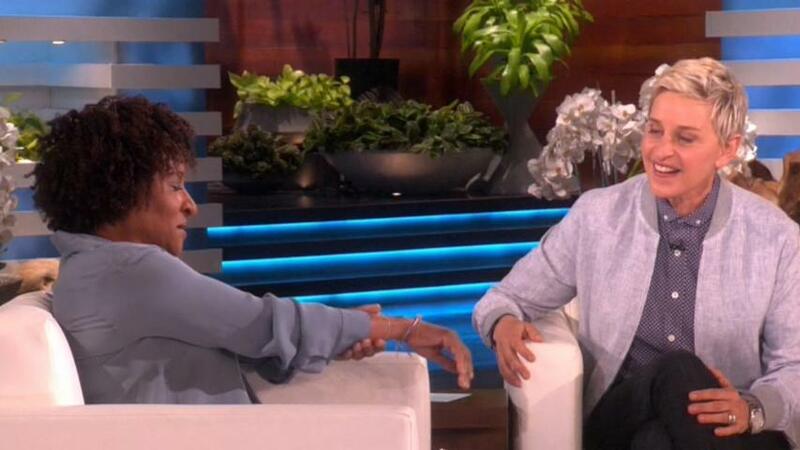 It's only when Beyonce gets closer that DeGeneres starts to worry. "What is she doing with that bat?" she asks, calling her friend to tell her the gossip. "You will not believe this, but Queen Bey has gone cray cray! I think she hates cars." She even has a reference to the infamous "Becky with the good hair," telling her friend on the phone, "Oh no, here she comes -; Becky, I have to go, I'm gonna call you back, but I do love what you're doing with your hair. It looks good." Her friend Wanda Sykes even makes a special appearance at the end as "Wanda with the good weave." Beyonce's Lemonade visual album was released April 23 on HBO before becoming available to stream on Tidal, then later iTunes and Amazon. Days later, Beyonce kicked off her Formation summer tour in Miami. Watch the full "Ellen Makes Lemonade" video below. Nostalgia alert -- There was a mini Spice Girls reunion and there are pics to prove it! Gwen Stefani is barefaced and beautiful in makeup-free selfie -- See the pic!